Entry Fee: No fee is required to visit the Gun Hill. However, the ropeway ride is chargeable at 75 INR per person. Mussoorie is a hill station born out of the fairy tales. Right since the tenure of the British rulers, Mussoorie was a much loved destination of all the hill stations in the Garhwal Himalayas. Because of the shining snow-capped peaks that set the sky on fire when the sun rises from behind them, Thus, as the township grew around the beautiful hill station, measures were taken to improve the lifestyle of the people. One such measure taken was the establishment of a canon on the Gun Hill that led the people in understanding what time of the day it was. Thus, following this practice, this second highest peak in this region came to be known as the Gun Hill and is a popular tourist destination in the present day. Even though the view from this point, especially the edges, is superb, you must refrain from looking down from the edges as the loose soil might skid under your feet any time. This place is ideal for a family picnic. So, you can plan one in advance. Enjoy a short trek to the Gun Hill early in the morning while breathing in the fresh mountain air. Take pleasure in standing on the second highest peak in Mussoorie. Play games at the various stalls and take back little gifts awarded to you for your victory. Enjoy the delicious local cuisine. There are some guides at the Gun Hill to help out the tourists for a nominal fee. If you want to feel the cold wind piercing through your body which is an adventure by itself, visit the Gun Hill in winter to make your trip a memorable one. 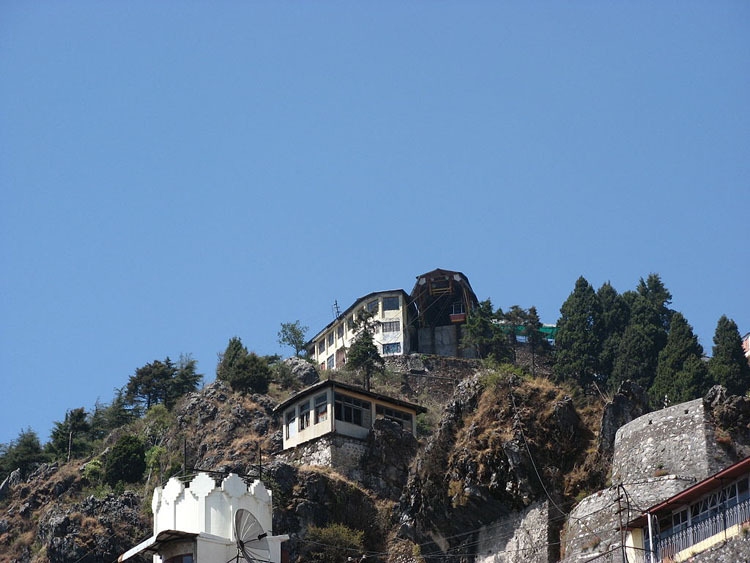 The Gun Hill is located at a distance of 1.7 km from The Mall, Mussoorie. This place can be reached either by a short trek or by taking a ride on the ropeway as per the convenience of the tourists. This is the second highest peak in Mussoorie after the Lal Tibba. During the British period, a canon, placed atop this hill, used to fire in the afternoon so that the people got to know what time of the day it was. Thus, this practice has led to the naming of the hill as the Gun Hill. It presents a remarkable view of the snow-covered ranges of the mighty Himalayas namely Bandarpunch, Pithwara, Gangotri and Srikantha. It also presents a spectacular view of the entire town of Mussoorie and the Doon Valley alongside. 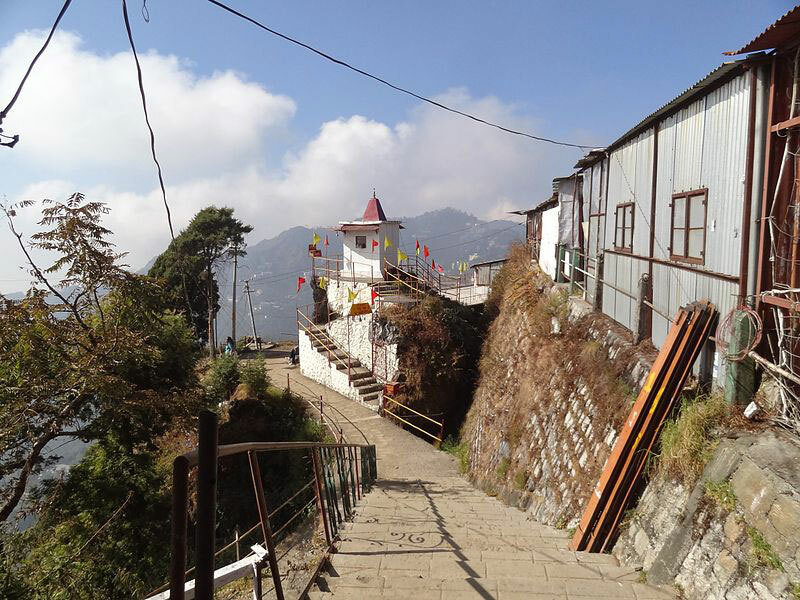 Thus, to enjoy the picturesque view of nature, the tourists are compelled to visit the Gun Hill while they are staying in the peaceful town of Mussoorie. Be it a trek along the rustic environment or a ropeway ride overlooking the majestic horizon, a trip to the Gun Hill leaves every tourist in a state of awe. Thus, the Gun Hill is a must visit for all.